To order a cab in large cities in different countries today have several applications for the smartphone that allow us to book taxis and the possibility of paying with the application by credit card or debit card. What are the safest to take taxis applications? I will present a comparative in this note. The app best known for ordering taxis and that is spreading through several countries is Uber. This application allows you to request a trip in a taxi without waiting on the street. Also it offers the possibility to pay by card without paying in cash in the car. The app provides maps to find the location where we are and the taxi. It is one of the most downloaded app to have reached 20 million mobile facilities. One advantage offered by Uber is that it gives discounts on travel to users when they download the application. Some have traveled in taxis free thanks to Uber. And as a user you can also qualify your driver on trips and make a statistic which is the best service to purchase. I personally used Uber during 2014 in Guadalajara, at that time did not even know the service but it was for a friend’s party campus who told me that ” it would be good to ask an uber” to pick us up at dawn and transport us from one bar to another, there were 7 people throwing riot and taxis that had led to the first location had a high price not go beyond comfortable. Then we ask Uber service with a Suburban. Within minutes the Suburnan was waiting for us and basically became our driver throughout the morning of another, all wins by moving aside and we pay for service. This was my first experience with Uber and was fascinated. From that moment on when I am in a city in Mexico with Uber and want to travel in style, I do not hesitate to use them. Tappsi Taxi Insurance is an application that is also among the most downloaded for Latin America and for the moment only works in Peru, Ecuador and Colombia. You can order taxis by app, information of streets and roads and pay for the trip by credit card within the same app. The application also includes GPS. 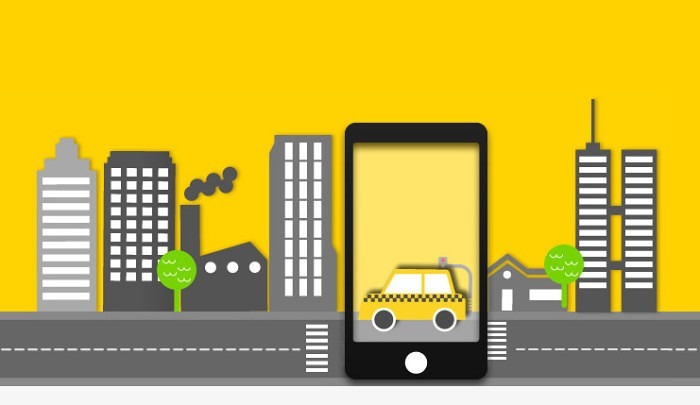 Taxis that offer the service through the application must register for the app to be linked and the customer can view the information of the driver and the company that every cab belongs. That is, they may be registered companies unlike normal uber taxis are drivers who become taxi drivers. Taxi Tappsi Security has a million downloads on Android and reputation among users is nearly 5 points, showing an appreciable conformity. If you are in Mexico already have Easy Taxi, this application offers the advantage of operating in 33 countries and over 170 cities. Allows easy ordering taxis in the app downloaded to the phone and is responsible for verifying drivers of vehicles to give more security to users. It is also aware of possible drawbacks such as delays, to contact the user and provide a solution. Easy taxi would be more like the app Tappsi and has a greater range of cities within their inventory. Easy Taxi is quite popular since their downloads reach 10 million Android and reaches 17 million users counting the other operating systems. One benefit of this application is that the user can calculate the cost of travel to get an idea of the money you will spend or will spend with each route. Easy taxi and other applications which also offer the advantage is the ability to track the taxi in which we travel if we forget some object to retrieve. If you are from Brazil or are traveling to their cities, you can use 99Taxis , an app that operates mainly in the most important cities in Brazil and allows you to request a taxi by the application or call. It offers payment methods such as credit card and PayPal and the ability to get a cab quickly in tourist cities like Rio de Janeiro, Belo Horizonte and Manaus Campina, among others. It also offers discounts on the first services and is integrated with the Foursquare application. Has a million downloads in Google Play and its reputation is 4 points. WHAT IS THE BEST APP TO ORDER TAXIS? The differences that can be found in these applications taxis are mainly in the cities in which they operate and the tools they offer. Some operate only in a few countries while others are operating largely internationally (cof cof cof cof Uber). All such applications are downloaded as free on the phone. Usually companies that develop applications for travel in taxis have agreements with transport companies so that the user can travel smoothly just making charges to the credit card. Increasingly used these apps for the comfort they provide and how difficult it is sometimes find a taxi in large cities and when you find them are in poor condition and charge huge fees or are taxi drivers who bring little devil (which alter the taximeter and charge more than what it is). The best app to order taxis is first in your city exists because not all are available and if you have several to choose the question is simple. If you want to travel in style calls for Ube , and if you want a safe taxi, or use Tappsi Yasi Taxi. At the end of 2014 one of the innovations that Uber is released for all this 2015 have an agreement with America Movil, which will operate in different Latin American cities like Buenos Aires, Montevideo, Caracas and Bogota, among others. It will offer discounts to users start using the application. Taxi drivers also will benefit from discounts on mobile phones for calls and messages. This entry was posted in Web Apps and tagged Android, apps iOs.